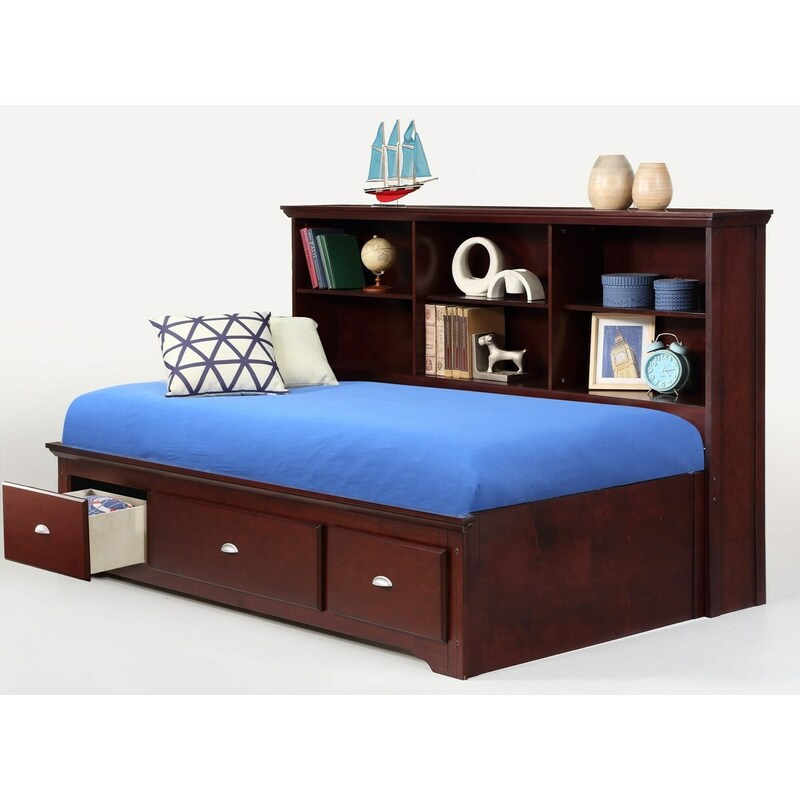 Storage built into this daybed with its bookcase headboard and three drawers in the footboard make it a perfect option for a teen bedroom. It offers plenty of space for hanging out in addition to homework and, of course, a good's night sleep. Slat mattress support included. The Ethan Twin Lounge Bed with Bookcase Headboard & Footboard Drawers by Bernards at Royal Furniture in the Memphis, Nashville, Jackson, Birmingham area. Product availability may vary. Contact us for the most current availability on this product. Browse other items in the Ethan collection from Royal Furniture in the Memphis, Nashville, Jackson, Birmingham area.